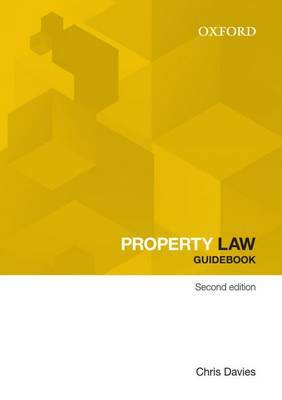 The Property Law Guidebook 2nd Edition is for law students taking a property law course in any Australian jurisdiction. The text has a focus on learning the 'basics' of property law and on assessment preparation. This guidebook helps students navigate through the fundamental points of property law using: clear and concise explanations of what you need to know guidelines for answering questions cases to remember and relevant statutes practical examples of the principles of property law in action 'think about it' questions assessment preparation sections diagrams of difficult concepts a glossary of property law terms up-to-date cases and legislation.